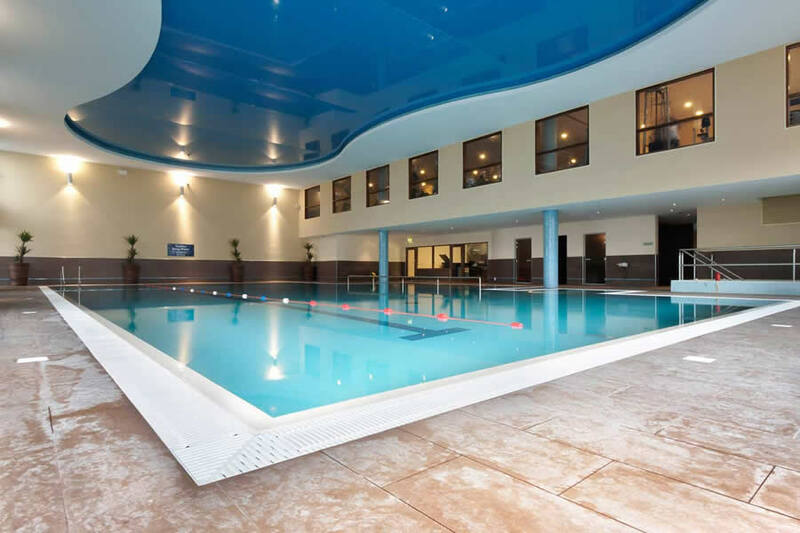 Welcome to the luxury 4 star Athlone Springs Hotel Westmeath. 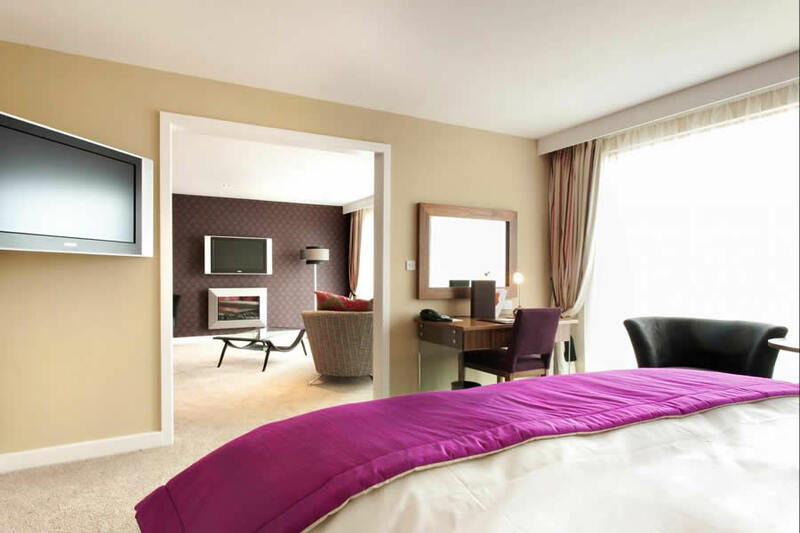 Located in the heart of the Midlands and Lakelands area of Ireland, this Athlone hotel is halfway between Dublin and Galway with easy access from all areas of Ireland including Cork, Limerick, Shannon region, Belfast and Donegal. The Hotel includes luxury boutique hotel includes Zen Spa and Zen Fitness & Beauty. There is a 20-metre pool, sauna, Jacuzzi, steam room, aerobics studio and a full gym. Facials and massages are available. 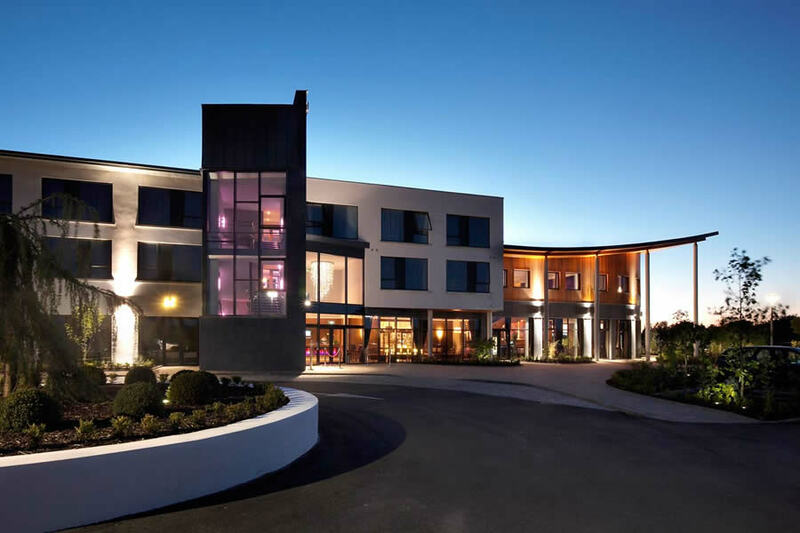 Just off the N6 motorway, Athlone Springs Hotel is at the edge of Athlone town. There is plenty of free parking. Athlone is a vibrant town located in the centre of Ireland on the banks of the River Shannon. Discover Athlone and County Westmeath in the heart of the Lakelands Region. If ever there was a case of a hotel being defined by which person one dealt with, this was it. We had a wonderful reception on arrival, which was duly spoiled by a 2nd person at the front desk. The spa experience was a nightmare, only redeemed by intervention from a Manager. Rooms were lovely & spacious, clean & perfect for our needs. All meals were served by friendly helpful staff and the standard to food was excellent. We didn't realise the hotel was so far from town centre, but that fault was ours for not researching in more detail. window in room broken replaced with ill fitting chipboard requested another window also broken noisy air extraction unit outside, dinner ok but finger prints over dish, breakfast chaotic chair had big hole in it there seems to be a big variation in hotel star ratings stayed in better three star! Staff were very pleasant and accomodating in reception,bar and restaurant. We had a lovely stay which was fantastic value for money.We had a triple room, which was a good size, with a good bathroom. Used the pool, which was good size and not too cold. Also had beauty treatments in the spa- staff were lovely there, and we purchased one of their special offers which included lunch. Again staff were lovely. Only complaint was the room was too warm at night, but we switched on the fan - it won't deter us coming back, which we intend doing. would recoomend this hotel. Lovely friendly and helpful staff and clean facilities. Good food and service. Excellent value. As a smoker, I would have enjoyed a designated seated smoking area outside. Definitely no where near a 'Luxury" hotel. While the room and bathroom were spacious, decor was tired and the room due a refurbishment. The bathroom had an open walk in shower and we found it impossible to contain the water - it splashed well outside the shower area. Like other guests I found the room noisy - voices on the corridor were easily heard. The view from our room was far from what I expected - it overlooked private houses' back gardens and the back / side of the shopping centre. In addition there was no privacy e.g. net curtains so curtains had to remain closed while dressing. The flat screen TV on the wall was far too small for the size of the room. Leisure centre has no relaxation area / seating / loungers for non swimmers. The pool and jacuzzi were warm. Reception staff were excellent, bar food was very acceptable but breakfast was disappointing. Location was not an issue for use - it is easily accessible from the motorway but is not easily accessible to the town centre. It is unlikely that we would stay here again. went here on an overnight stay with my sister . I would highly recommend this hotel .The staff were so friendly,food was fab ,rooms and hallways were so spacious and the pool and leisure centre were excellent.We will return,we would give this hotel a 5 star. Very nice hotel and leisure centre. The service and the cleanliness were very good and the breakfast was good. The evening meals in the bar / restaurant were mixed. There were some very good items but a poor curry and poor children's meals. lovely staff, spacious family rooms, fab bathrooms, really enjoyed our stay.. the leisure centre was warm, kids loved it.. bar food really tasty, only bad thing was breakfast.. not enough varieties, and cutlery, dishes dirty with stains.. but overall would definitely go back..
We had a very pleasant stay and would recommend this hotel to others. One bedroom was very warm and even with the heating off and a fan provided - our room was overpoweringly warm. Our children's room was a normal temperature. Not sure what the problem was as the rooms were beside each other. Great service, nice and tidy rooms, great food. But very noisy. You can hear while people talking in front of your room door. Thats one minus. Very nice hotel . Staff were extremely helpful and friendly, would recommend it . Very friendly staff. Great to have the Leisure Centre. Food delicious. Only complaint: slowness of service - waited 80 minutes for main course, acknowledged by hotel as price of meal was deducted from bill at checkout. Athlone Springs Hotel was very convenient for us - just off the M6. We stayed in The Athlone Springs before so were disappointed to see that it wasn't as clean as before. The pool , jacuzzi and pool area was very grubby and not cared for at all. The milk in the room was sour . Breakfast was nice and staff friendly. A lovely hotel with really pleasant and friendly staff. We had an amazing stay in this hotel, couldn't have asked for a better experience. I've never came across such helpful, accommodating staff in my life. The hotel itself is fabulous, and the food is fantastic! I'd give 6 stars if I could. We will definitely be returning! Hotel is very nice, meal is nice but breakfast is all self service we had to wait ages for tea cause very little people working in the morning.. The hotel is ages from the town about a ten min drive so taxi is a must if you want to delve into athlone night life. All and all the rooms are gorgeous, staff are friendly, check in and check out was fast.. So no major complaints just the driving is a bit much!! Had a lovely two night stay here, staff friendly and helpful, good food, perfect location for a break. Lovely break and really comfy bed. Food lovely. Great entertainment and staff very friendly and efficient. Four of us spent a night away in the Athlone Springs hotel, we got inter-connecting rooms as requested and we had a pleasant and relaxing stay. The staff are welcoming, friendly and efficient. Although we were on a D/B/B package we had to dine in the bar as the restaurant was closed as it was quiet during mid-week. As a result we had to choose from the bar food menu which had a very limited choice and served no vegetables/potatoes with main dishes which was very disappointing! We requested the restaurant menu but it was not available. We brought this to the attention of the receptionist on the following morning who contacted the manager. He was very apologetic and said that the restaurant menu should have been offered to us on the previous evening. As a goodwill gesture he gave us dinner vouchers to return sometime in the future. Otherwise our stay was enjoyable, it is a nice hotel, nice decor and very spacious and well equipped rooms. We will definitely return. We recently stayed in Athlone Springs which was a very pleasant experience. The staff were efficient and friendly, rooms were nicely decorated and we were given inter-connecting rooms as requested, the only fault we found was a broken shower head and a bulb needing replacement which we reported on our departure. The food for dinner was v good, nicely presented and had adequate portions but breakfast was disappointing as I had to ask for a bowl of muesli even though it was listed on the menu and there was no fresh fruits to add to cereal ie prunes, bananas etc. Overall we enjoyed our visit, would return but would appreciate a fuller buffet next time for breakfast! I was pleased the hotel read my booking information as we were allocated a disabled bathroom - very helpful. The single beds for a 'twin' booking I felt were small but I think were to allow wheelchair access (which we didn't need) Restaurant was very pleasant & all staff very helpful & accommodating. Spa & pool very nice as well. Very very busy with families. I reported hairdryer not working and this was not acted upon but a small criticism of what was a pleasant stay. Had a lovely two night stay here, staff friendly and helpful, good food, perfect location for a break with the kids. Hotel very nice and food was good. Our room had a locked window which could not be opened. We were offered 2 fans one of which was dangerous because it had no grille. This room was not fit for use during summer time. We were given a mere €20 discount by hotel. Staff were all very nice and helpful, but surely this room was in breach or fire regs and H & S? I cannot praise this hotel and its staff enough. Where to start...... On arrival when checking in the reception staff where so helpful and friendly, explaining the layout of the hotel, restaurant times and kids club times. When finished I knew very well that I could return with any queries to a very helpful, friendly and accommodating staff. The décor of the hotel stands out straight away as bright, vibrant and very modern. The rooms are laid out brilliantly and very bright and airy. I had requested a cot when booking and sure enough there was one ready and waiting (assembled with linen). The kids were anxious to use the kids club so we went to sign them up. There were 2 very friendly young ladies there to explain to us about the kids club and our 2 boys were extremely happy. They used this club every day and loved it. I cannot recommend nor praise the young people who run this club enough (it made our kids holidays). The pool is lovely, perfect temperature and kept very well and clean. We had booked a family deal which included a 2 course evening meal on one evening. The first night we ate in the bar and the food was amazing, very well presented and waiting staff very friendly and accommodating. My husband ordered the chicken and was informed that with it being cooked fresh it could take about 15 mins which we were fine with and was definitely worth the wait. The second night we used our voucher in the restaurant and it was again a fabulous meal. The staff just couldn't do enough. The breakfast was brilliant on each morning of our stay. It was always very fresh and plenty available. The General Manager was around at all times ensuring everyone was being looked after and he done an amazing job. I cannot recommend this hotel enough for families. On reading some reviews I was a bit doubtful but I will definitely be returning. Thank you Michael Hanley and Staff - We will see you soon xxxxxxxx Just on another note - If travelling with young children Gleender Pet Farm is about 10 minutes away by car and is well worth a visit. Thank you for the opportunity to rate my recent stay with Athlone Springs Hotel. It is a fine hotel and the staff were very pleasant. Whilst my sister and I went for our evening meal we were reminded which package we were on which was grand, but unfortunately they were not aware that we are both on a Gluten Free Diet which to us was vital information. This was specified when booking our stay. Hence, the bread that arrived was not gluten free, although they did rectify this. Also the menu didn't state which options were gluten free which is the norm in many places now. Having said that the waitress did return to inform us of our options. At breakfast, we had to ask for the gluten free choice as there was nothing left out so we could help ourselves without highlighting our request. This was sorted when we asked. The bedroom was spacious and clean though I would have loved to have had a bath which is one of the luxuries when staying away. The shower curtain didn't quite reach the shower tray and so the water went everywhere on the floor which could have been a safety hazard. We also used the swimming pool facilities and enjoyed it. A ringer for the swimming gear would have helped though there were plastic bags there, but we couldn't hang them over the bath to dry as there was none. Whilst these are just comments / observations, we did enjoy our stay. Stayed at this hotel recently was ok but wouldn't be rushing back it's a modern hotel but feel in parts of the hotel especially along the corridors need a bit of attention the corridors are very dark and the walls and skirting need a lick of paint . We stayed in a family room 2adults & 3 children which was very small but clean the weather was very humid at the time and heat in room was unbearable because no airconditioning had to get a fan from reception which helped . The staff were very pleasant and the breakfast was ok .
Nice hotel, very friendly staff, breakfast very good. Not a particularly nice location but handy for the motorway. Some of the hallways were very dark. Room bright and clean and spacious, pool and dressing rooms clean. Would stay again. Handy if you need to be in that part of the country Reception staff were warm and friendly and lovely to deal with nice welcome from the ladies at reception. Rooms lovely and clean, but a little dated needs a good lick of paint like the rest of the public areas in this hotel. Bar quiet small and the seats need a good cleaning both in bar and in the dining room Swimming pool needed a good cleaning, walls were a bit slimey, also towels a bit dated. Staff lovely if not very well informed if asked if fish was cod by a guest in a big group from Japan i believe, the waitress asked another waitress and she was told" its either cod or pollock i dont know, just tell them its cod everyone likes cod" wasnt nice to overhear that, needless to say i didnt order the "fish" Booked 2 night with an evening meal on both evenings......was expecting to be dining in the hotel dining room both nights but was told on 2nd evening that the General manager closed the Dining room as only 30 people were booked in that evening and they could use the bar food if they wanted food......well i wanted to eat in the restaurant/dining room and to eat from that menu but was told no can do and was handed the bar food menu and shown to a table with dirty paper napkins and the tables on both sides of me filty dirty......This let this otherwise nice hotel down in my books Nice and cheap not a 4star as i expected, i wont be returning again sadly. I enjoyed my stay at the Athlone Springs Hotel, however was disappointed to find out on arrival that the restaurant was closed as I had paid in advance, as part of a deal, to avail of the restaurant. Also I was disappointed with the shower facility in the hotel (i.e. continued to over flow while being used). Unfortunately, my review is not favourable! I have two complaints. Our main course was over done and not enjoyable - Lamb Shank , which was a pity. Also , we were unable to get to sleep until after 1 am due to the noise - screaming and shouting coming from an event ( Graduation ) that was been held in the hotel that night which we should have been informed about. Also we requested a quiet room in quiet location but were on second floor at front of hotel near noise from graduation. Lastly, the finish in rooms and bathroom was not to 4 star standard, would rate as 3 star. We were disappointed. This is a very nice hotel, beautiful reception, bar & restaurant & the food was fab. Entertainment was excellent in the bar & we had a great night & fantastic breakfast the next morning. However, this was a birthday treat for my mum & I specifically requested the nicest room available. The room was extremely out-dated, old fashioned, very dark with only lamps to light it & in serious need of updating. The bathroom was beautiful & modern though & the only place we had enough light to get ourselves ready to go out. I did try to upgrade but there was no upgrade available that night. I would stay again as we had a great time, but only if I could be guaranteed a nicer room, especially when it was requested in advance. The staff were all excellent in the hotel, couldn't have been nicer. All in all very good value for what we paid. Staff were great, very helpful, and attentive. food and drinks great. entertainment on sunday night was great. Room was clean, but curtains had drink stains and cig burns on them. Hairdryer not working, shower leaking all over floor, grout missing between tiles in shower room. not a good look. when we stayed there was 3 hen partys - a bit noisy at times. the carpets and woodwork throughout hotel needs to be cleaned, the seats in the bar and restaurant are stained and need to be recovered or cleaned . overall impression is they are too busy to pay attention to detail. which is a pity as the staff are great. We stayed in the Athlone Springs Hotel this Easter - me, my husband and small daughter. We weren't too impressed by the hotel surroundings - it's right beside a main road in sort of industrial estate, you couldn't say it was exactly picturesque location. The hotel inside was nice though, nice spacious room, bathroom, lobby and bar, all looked nice - except we thought there were lots of stains on everything - bed spread in our room was dirty and chairs in the lobby and restaurant were also full of stains. I guess it was the material they were made from, not exactly easy to wash, but it was off putting to be completely honest. Dinner in the restaurant was nice, and breakfast was good also. It would be a good idea to have some sort of children play area on the premises as lots of kids were just running on the road in front of the hotel and we didn't find anything for our 2.5 year old to do except swimming. It would be good to have something else. Staff were extremely nice, helpful and friendly - I was very impressed by that and it was really lovely. To summarize, the hotel was good value for what we paid I thought, the only let downs were the location itself and the dirt on the chairs and our bed spread, that was really off putting and it ruined the overall hotel impression for me personally.